The NEEDHAM'S Electronics SA-20 Stand alone Gang Burner. This is a production burner that can burn 1 to 8 chips at a time will all the functions you could ever want. If you own an Express Cart this is the machine that programmed your chip. 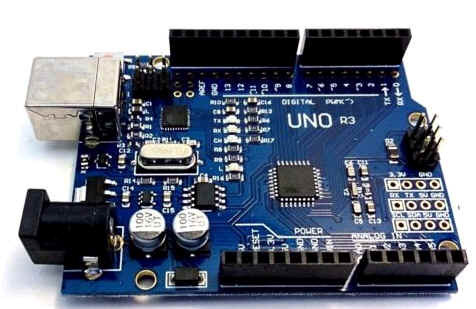 This is very useful if you have a large amount of chips to program. The NEEDHAM'S Electronics EMP-20 is a great little development E-Prom, Prom, and Gal burner. It attaches to the printer port of a DOS computer. 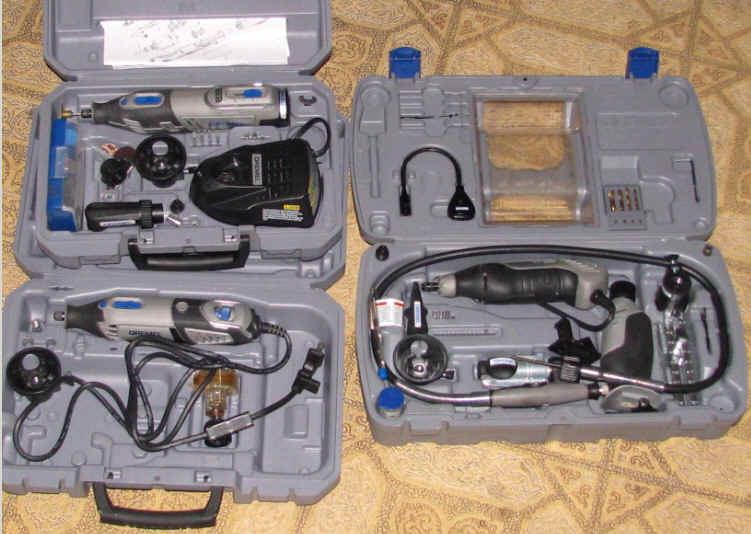 While this is old tools they still work really well. and I have software that I can CAD a logic chip and turn the drawing into a working GAL chip. At the bottom of the picture is family board that configure the programmers for different chips. 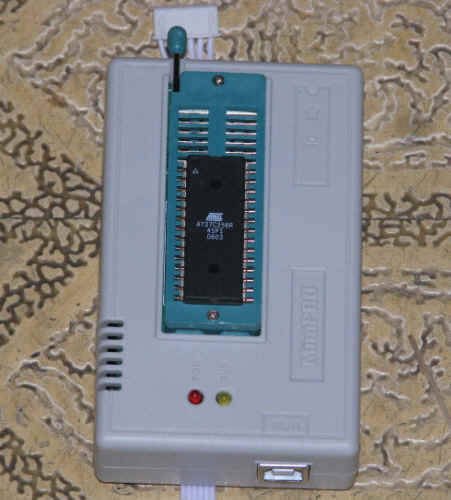 This is a MINIPRO USB Programmer I got off E-BAY it does Roms, Proms, E-proms, GAL, PAL, PEEL, ISP and ever other chip other than pic processors. 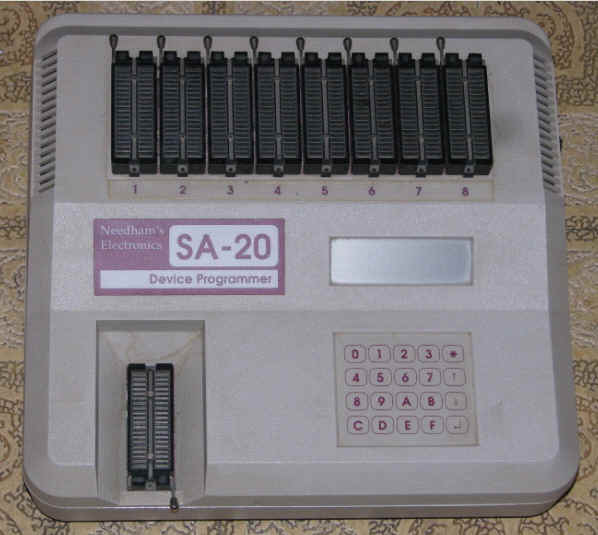 This is a fast to program, Easy to use and a really neat little programmer. I use this programmer to do my work now. 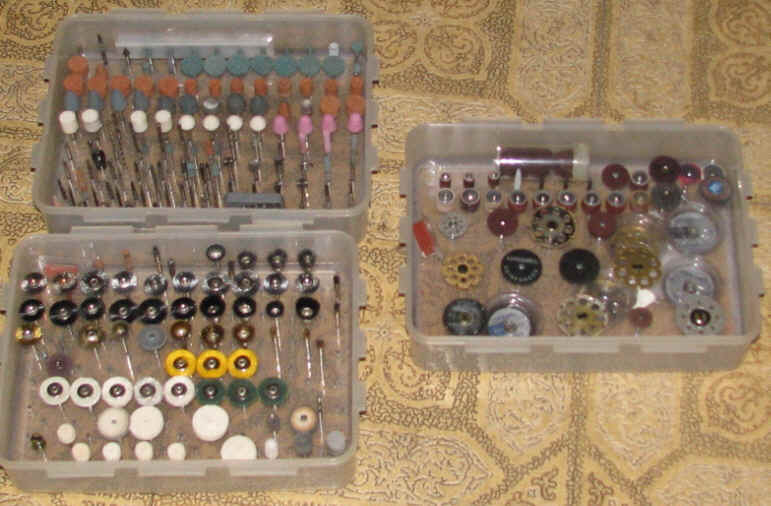 I keep the EMP-20 just incase I run into a high Voltage program chip. 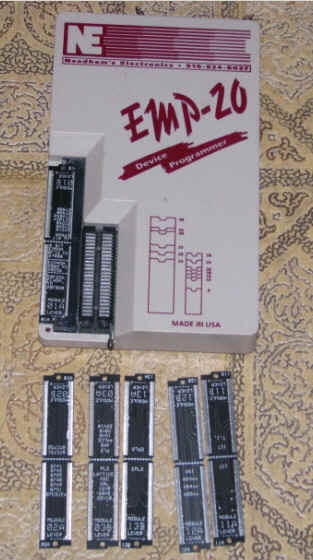 This is the programmer I used to update the firmware in the Ultimate 1 Meg Firmware with an adapter Board. 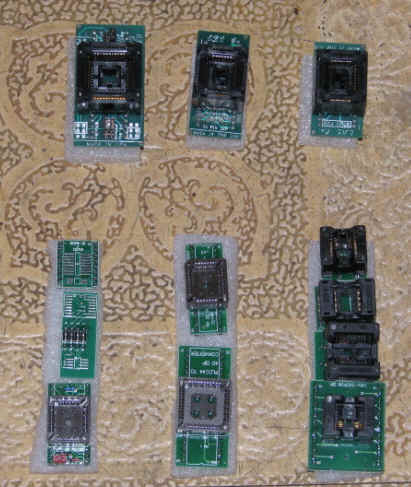 This is a selection of adapter boards so that the newer chip foot prints can be programmed. 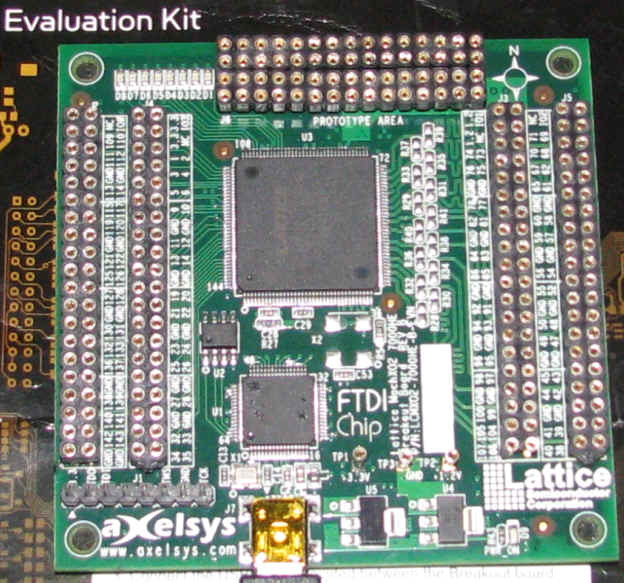 If you are going to do much chip programming you will need adapters like this sooner or later depending on your project. 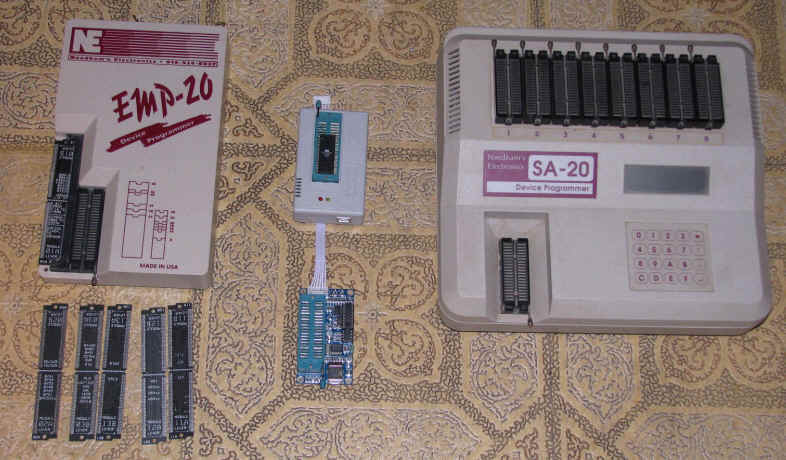 The top three adapter boards were purchased to work with the EMP-20, the rest came with the MINIPRO.. 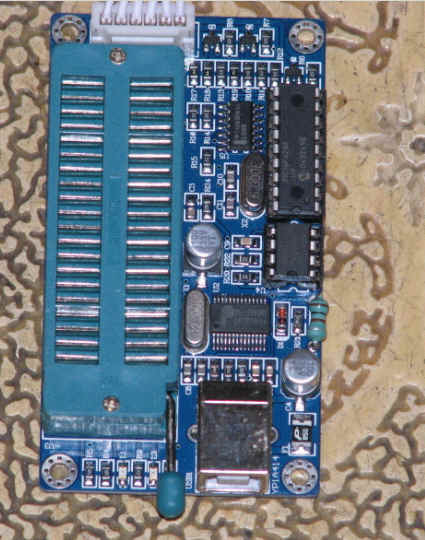 This is a no name USB programmer for PIC Processors. 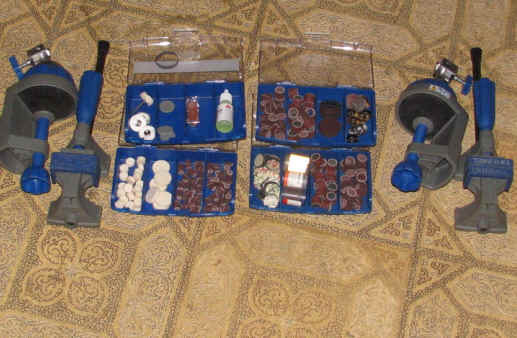 Its cost was 10.00 US Dollars. I have no Idea if it works or not. 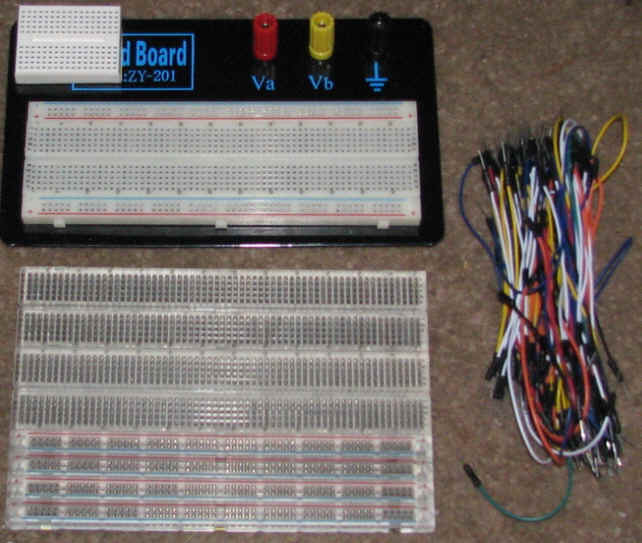 This breakout kit has had Machine Sockets solder in so the same wires used on a breadboard. May Lattice MachX02, Bread Board, and Arduino Uno Microcontroller all use the same wires during prototyping a circuit project. 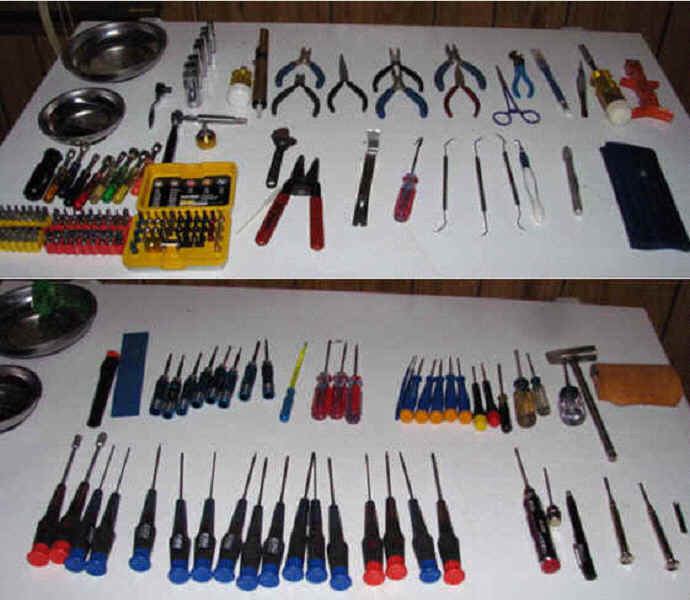 Here are my newest tools for projects using microcontroller or CPLD logic design.